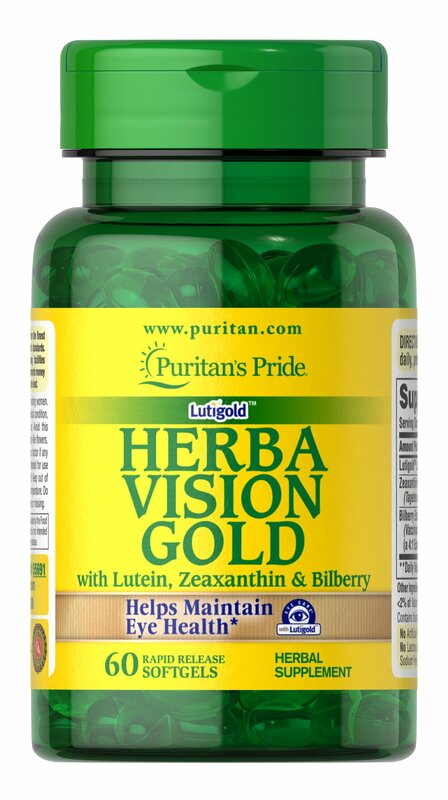 Herba Vision Gold is formulated with Lutigold™ Lutein. Lutein is a potent antioxidant and helps support healthy eyes and vision. ** As we age, our body’s natural supply of Lutein decreases. Our bodies do not make Lutein, so it’s important to take every day. This formula also contains Bilberry extract, and Zeaxanthin. ** Zeaxanthin is a human carotenoid that is naturally present in the central area of the retina called the macula. Zeaxanthin is an isomer that is selectively placed in macula’s foveal center. The fovea is responsible for sharp central vision.